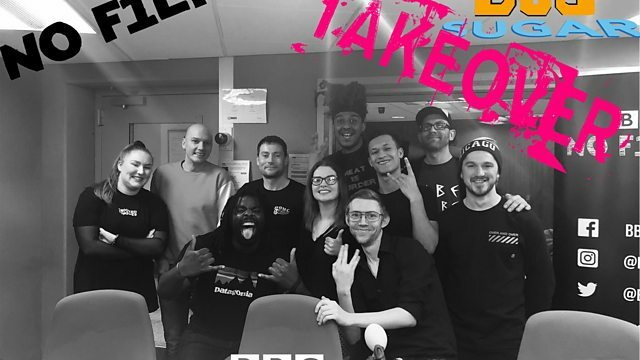 BBC Radio Humberside - Kofi Smiles, 28/01/2019 Afro-beat, codhead skank band BUD SUGAR takeover No Filter with other DIY creatives! 28/01/2019 Afro-beat, codhead skank band BUD SUGAR takeover No Filter with other DIY creatives! ART, BUSINESS, FILM, FASHION & TATTOOS all come together in the BUD SUGAR takeover as they and other DO IT YOURSELF merchants discuss starting a movement from a hobby. BBC No Filter: Every week Kofi Smiles dives into the worlds of pop culture, lifestyle, gaming, TV, movies, social media and comedy all held together with a daring and brolic playlist feature some of the latest music and up and coming artists. With an open door policy, he invites his listeners to have a seat in the studio and help pick the agenda each week. Toxic Masculinity, Gillette ads and Outrage Cadets 21/01/2019. 04/02/2019 Sexual Abuse and Sexual Violence Awareness Week. A Brief Inquiry into Online Relationships. Scott Pilgrim Vs. The World Soundtrack.